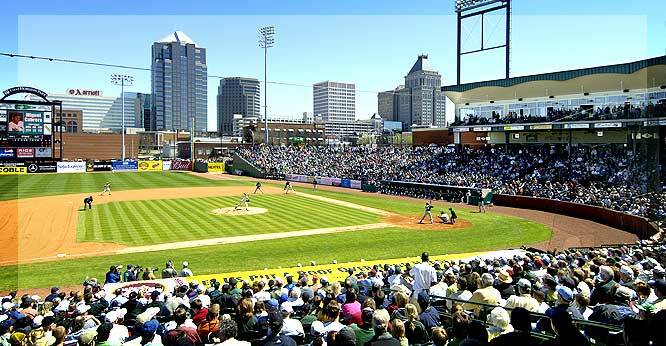 Greensboro - "Your Home Team Advantage!" Greensboro, North Carolina is vibrant urban center that serves the region as a center for commerce, culture and connectivity. With its mix of shops, restaurants,offices, museums, festivals, parks, architecture and its variety of residential neighborhoods, Greensboro brings people together from all walks of life for a wide range of activities. Home to the National Folk Festival as well as the Eastern Music Festival , Guilford Courthouse National Park and the ACC Headquarters it has something for everyone. Greensboro is a city in the Piedmont Triad. It is the third-largest city by population in North Carolina and the largest city in Guilford County. Greensboro’s population is 277,080. It is located at the intersection of three major interstate highways. It also has an international airport PTI. The Greensboro – Winston-Salem – High Point combined statistical marketing area(CSA), popularly referred to as the Piedmont Triad, has a population of 1,599,477. With a great selection of 135 attractions, the fun never ends in Greensboro! Centrally located in North Carolina’s picturesque heartland, Greensboro is the perfect place to relax and be immersed in entertainment. Play in the center of it all! Dine with a selection of more than 500 restaurants. The Science Center and Aquarium , the Civil Rights Museum and Guilford County Courthouse National Battlefield are just a few of the many attractions. There is a variety of Arts and Entertainment to enjoy. The Coliseum hosts both sporting events like the ACC basketball tournament and acts as diverse as Bruce Springsteen, Carey Underwood, Ringling Brothers Circus. There are additional venues such as the Historical Carolina Theater, and Triad Stage a highly acclaimed regional theater that provide a wide variety of entertainment options. Downtown boasts a variety of clubs and restaurants as well as special events like First Friday . Tanger Performing Arts Center will be a 3,000-seat facility unparalleled sight lines of the stage and a sound system designed to accommodate a vast range of performing arts productions. Construction has begun on this state of the art facility which will add a world class entertainment venue to our city. Since 1933, Greensboro has had a rich history of proving exceptional programs, services, facilities and beautiful parks and gardens. Our 170-plus parks, gardens and special facilities have earned recognition, awards and accolades from our residents, visitors, NC Recreation and Parks Association and National Recreation and Parks Association, to name a few.Overseeing more than 8,500 acres, the department prides itself on the amount of diverse opportunities available from sports and fitness to cultural and historical arts for people of all abilities. The department is proud to be nationally accredited and a three-time winner of the National Gold Medal Award for excellence in leisure services. Greensboro also hosts a PGA tour event the Wyndham Championship. There are numerous private and public courses throughout the area of varying degrees of difficulty. If that is not enough golf for you Pinehurst ” The Home of America Golf” is only a short drive away. Greensboro is home to 5 colleges the largest being University of North Carolina at Greensboro. There are another half dozen or more colleges in the area. Guilford county is also home to the highly acclaimed GTCC a 2 year degree and technical college. Greensboro is a diverse vibrant city. Home to a rich history and exciting present. This is clearly seen in the many unique neighborhoods. Historical, golf course and new there is a neighborhood and home that fits every lifestyle. Come for a see us and you will stay for a lifetime. Unrivaled quality and superior workmanship are built into this custom home on quaint street in Old Irving Park. Gorgeous walnut flooring, heavy moldings, energy efficient Harry Boody HVAC system, cat 5 wiring, 3 fireplaces, and walnut paneled office with built-in cabinetry. Traditional home, open floor plan, extensive heated and cooled storage, and workshop. Beautiful veranda and custom putting green offers upscale outdoor living space. 3rd floor bonus. See attached list of extensive features and updates!